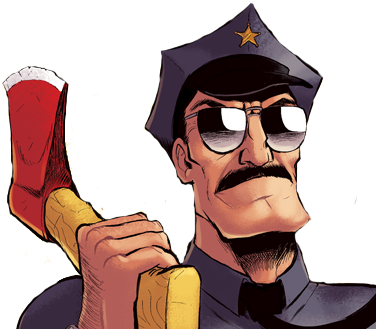 The longest online Axe Cop story so far. Axe Cop and his team go out to search for a kid named Fishy Fish who was stolen by Hasta Mia, the zombie dog woman. Things only get more complicated as Lobster Man joins the team and the real bad guys begin to unveil themselves one by one.